The Navratras are here! It’s that time of the year when prayers and fasting are in full swing. People who fast during the Navratras know well that fasting is synonymous with feasting. So if you’re wondering what are the best places to indulge in savory meals made perfectly for these festivities, look no further than these restaurants. 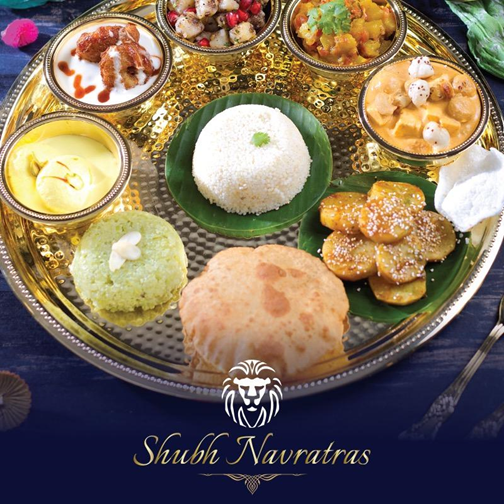 Punjab Grill is making sure you have one of the best feasts during Navratras. They are serving a selection of authentic and delicious foods curated especially to suit your fasting requirements. While the regular favorites like Vrat Wali Lassi, Rajgira Ki Puri, and Makhane Ki Kheer hit the right hunger notes in the 9-day special menu, offbeat delicacies like Kesari Rasmalai and Khatta Meetha Sitafal are sure to treat your fasting taste buds. 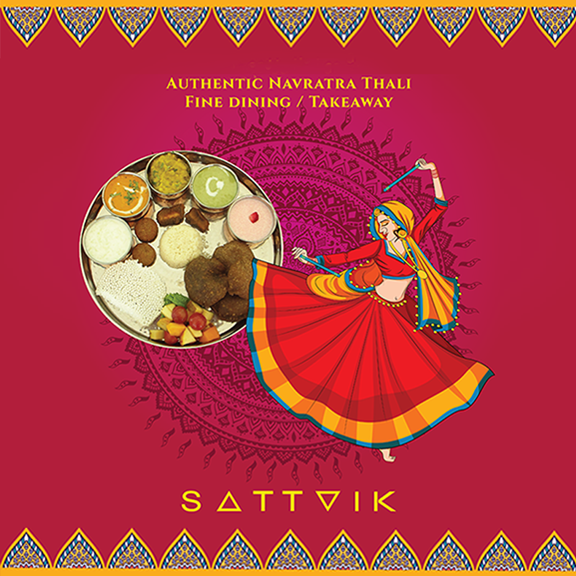 Sattvik is a luxury dining place for vegetarians. 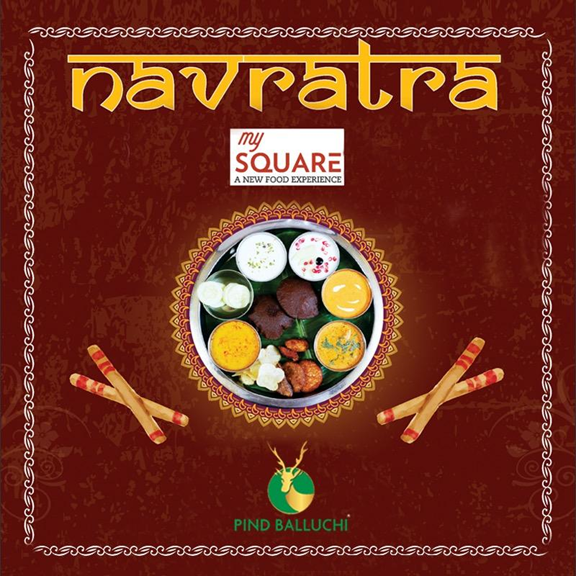 It should definitely be on your list for places to eat the Navratri Thali. The restaurant is strictly vegetarian and serves truly delicious “Vrat ka Khana” including a host of interesting dishes such as Saboodana Papad, Kuttu Ki Puri Chaat and Gulabi Samak Ki Kheer. To please your palate try out their refreshing summer sip, Masaledaar Chaach. The place sincerely reflects its name and the ambience is as amazing as the food. The chefs at Pind Balluchi have designed an elaborative thali that is not just for those who are fasting, but also for those who are not fasting yet want to stimulate their taste buds with some interesting food. With dishes like Anjeer Wala Panner Tikka, Kachhe Kele Our Akhrot Ke Kebab and Kurkure Dahi Ke Kebab, they are all set to please you with their menu. 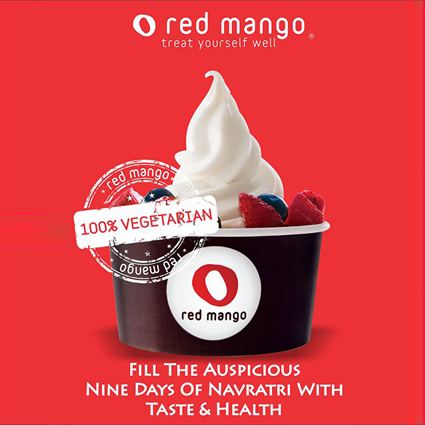 Why restrict your meals to just Indian cuisines this Navratra season? Andrea’s Eatery’s contemporary platter that has scrumptious dishes including Tomato Bruschetta, Hard Shell Taco, Artisanal Pizzas and much more, is cooked just the right way. 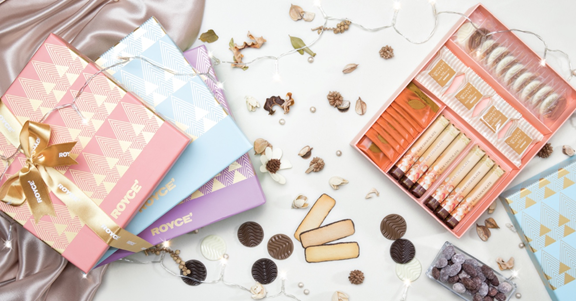 That’s not all; to celebrate this festive season in full spirit we have the sweetest gifting options for you. 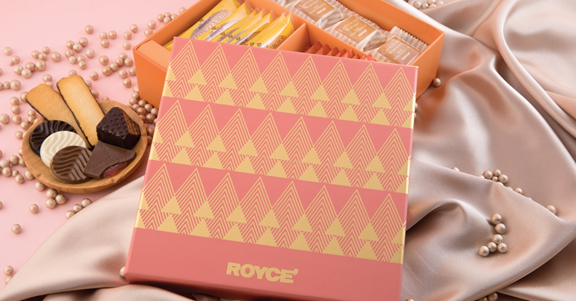 ROYCE’ Chocolate India has come out with limited edition gift boxes that offer an assortment of some of their most popular chocolates & cookies, packed beautifully in a vibrant range of colors. 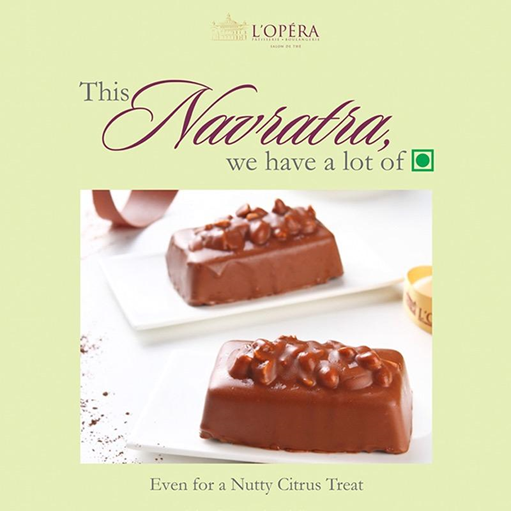 The perfect gift for your loved ones this Navratras. That’s not all! 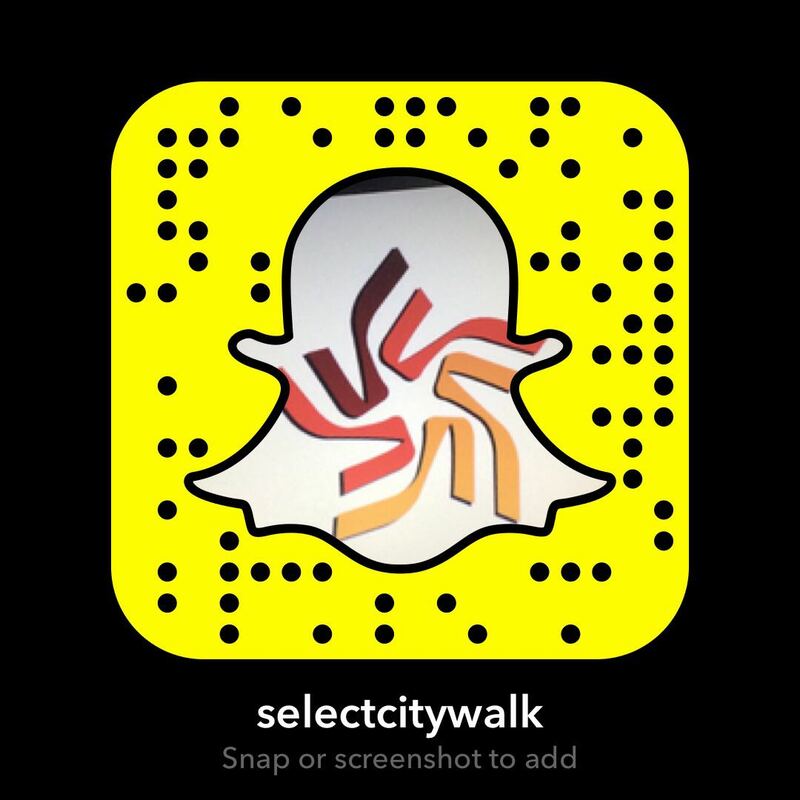 At Select CITYWALK our aim has always been to spoil you for choice. So we have an array of brands that you get to choose from, including L’opera, Café Delhi Heights, Gelato Vinto, Burma Burma, Keventers and Red Mango. What are you waiting for? 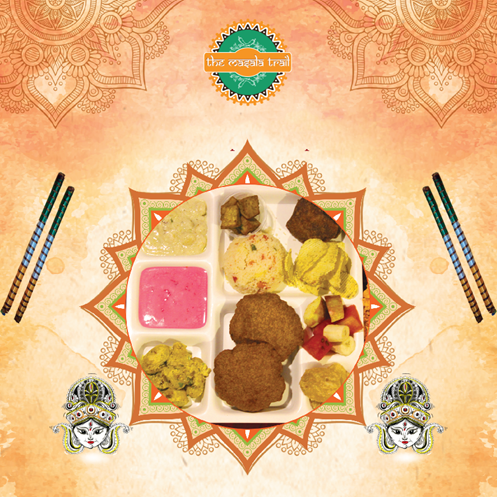 Drop by and dig in, and celebrate Navratras like never before.